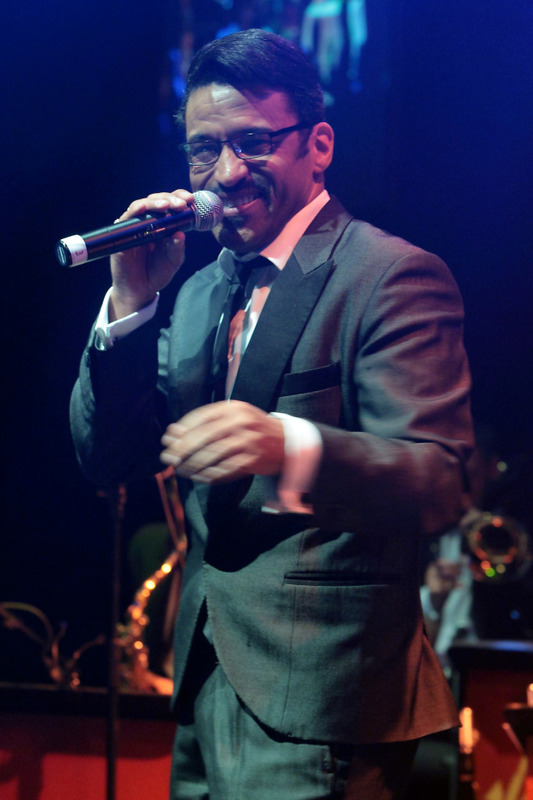 George has been interpretting Sammy Davis Jr for over 10 years now and was one of the first artists to devote his skills to the portrayal of the iconic entertainer. George trained at London Studio Centre, during and after which he took his first professional theatre credits of: Tribe/Margaret Mead in Hair (European Tour), The Cotton Club (Aldwych Theatre), T-Bone and Pete in Carmen Jones (The Old Vic) and understudy Engineer and Thuy in Miss Saigon (Theatre Royal Drury Lane). Other appearances include: The Mummy Returns (Universal Pictures), Wogan, Top of the Pops, National Lottery, Saturday Swings (BBC1), CD:UK, This Morning (ITV). As a dancer and choreographer George has worked on videos, TV appearances and PA’s with various artists including: Westlife (Sony), Boy George (Virgin/More Protein), Mica Paris (Island), Innocence (Chrysalis), Dario G (WEA), Lisa May (Fontana/Juice Groove) and Beatroute (ZTT/Vision) as well staging fashion shows and being Assistant Choreographer for Oxford Dance Theatre. Recordings include: Rat Pack – Live from Las Vegas and Sister Act – The Musical (Original West End Cast Recordings), Stars of the Musicals (TER), Disco 2008, Yesterday and Tomorrow, Jonathan Kaldor and Sebastian Michael’s – Alvaro’s Balcony, and his solo album Me and My Shadow. George decided to retrain over the past few years, qualifying with an RHS Certificate in Horticulture (with commendation) and a diploma in garden design from The English Gardening School (with distinction). He now runs his own garden design company, Well Grounded Gardens.